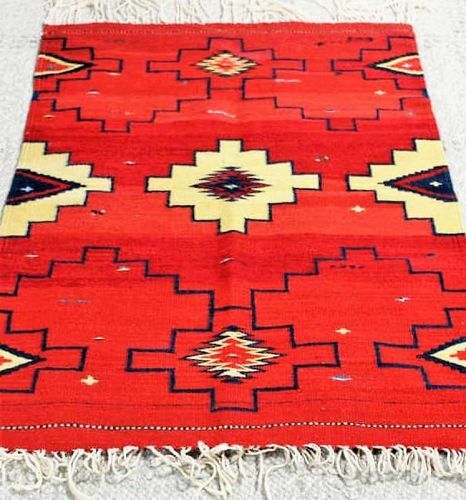 DESCRIPTION: A hand woven flat weave Mexican wool carpet, dating from the mid 20th C, with bright red ground and geometric designs in dark blue and light beige. Originally purchased in Mexico in the 1970’s by an interior designer who stored it for decades, this rug is in like-new condition. From a Scarsdale, NY Estate; rug is reversible. 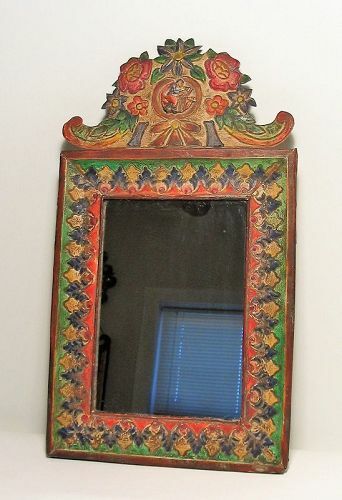 DIMENSIONS: 34” wide x 53” long, plus fringe. 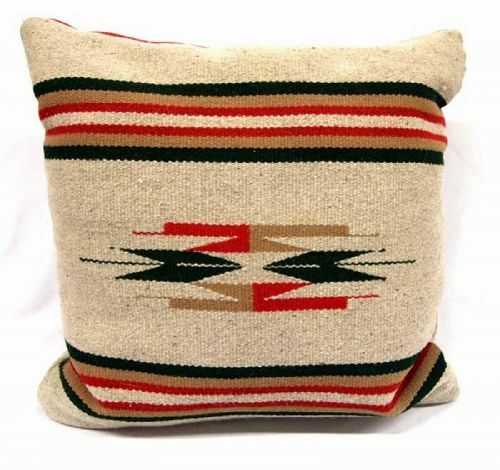 DESCRIPTION: Great reversible pattern Pendleton blanket with horizontal rows of red, orange and white chevrons. The background is dark green on one side and grey on the reverse, edged with a dark red crisscross fringe on all sides. Perfectly sized for either a twin bed blanket or a wearable wrap. 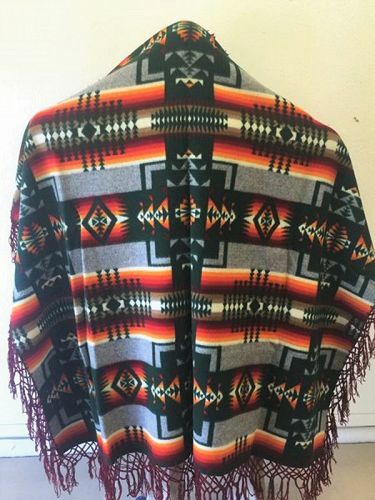 Pendleton label, late 1900s, good condition with no holes or tears. DIMENSIONS: 67" x 70" + 6" fringe.